You know how much I love TruColor products. 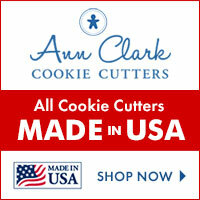 I use them a lot and I post pictures of the cookies I make with them. 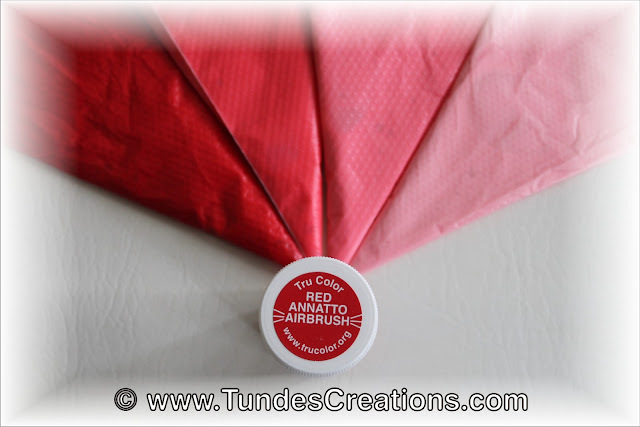 When TruColor came out with the liquid colors they sent me a set and they also added a jar of their Red Annatto Airbrush color. They told me it was amazing and I had to try it. I made a mental note about it and put the jar to my stash to try it when I get a chance. 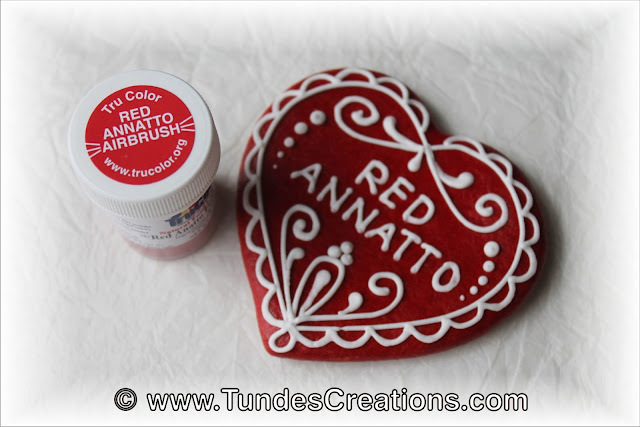 Last week I needed some red hearts for a project and I had the idea to try Red Annatto in my red coating instead of Americolor gel. I was prepared to see my mixture turn purple, as this is what most natural red colors do in my alkaline food environments (like eggs, icing...). But this color is red, very nice, strong, vibrant red and it stays red whatever I do with it!!! Now, I hate myself for not trying it right away when I got it! So here is the red heart colored with this new natural food color. From now on, I can let my kids eat my red cookies! 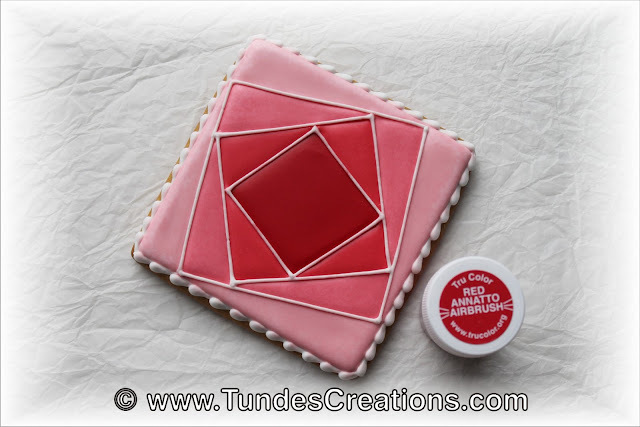 I was so excited about my new, gorgeous red coating, that I forgot to put my gloves on when I painted this cookie. And you know how your hand looks like after working with red food color, right? Here comes the next surprise: this color came off my hands with a simple hand wash. I have to tell you, I couldn't stop here. I had to try to color my icing with it. I know, the label says "airbrush", but who cares? And I am so glad I did! Look at this gorgeous red palette! And I did not have to use a lot of the powder to get this vibrant color. 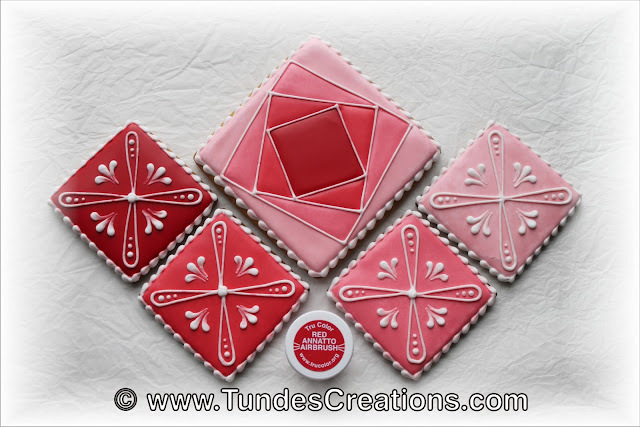 The pink shades are the same red with more icing added. I will definitely need to try it as an airbrush color, but I don't use airbrush a whole lot. So this will take me a little more time. If you need a jar of Red Annatto you can get it at my Etsy shop. Oh, did I tell you that I re-opened my Etsy shop with some cool supplies? WARNING: This color is not suitable for nut allergy sufferers! Try this color, you will love it! "From now on, I can let my kids eat my red cookies!" I want to buy Trucolor dyes for my cookies! I'm so happy for read about this in your blog! there is a lot of tips here. Did you try to color royal icing with others "Airbrush" Trucolor dyes? I want to buy basic colors to start, a little set to try. What dyes do you suggest me? There is a lot of them, I'm so confused. 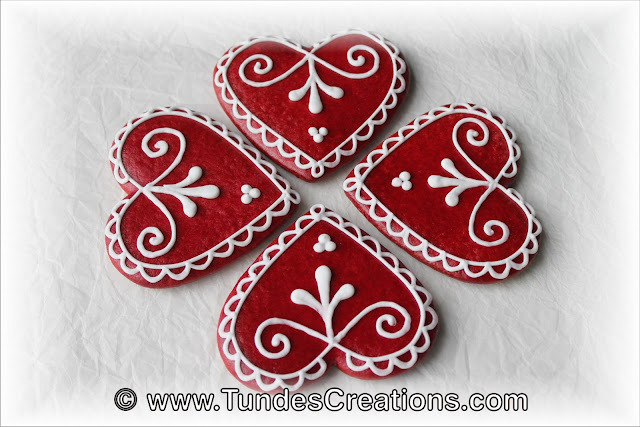 Is "Gel powder" the best for to color royal icing? If you type TruColor in the search of my blog you will find a lot of projects I made with these colors and you might be able to decide which colors you would like to try. 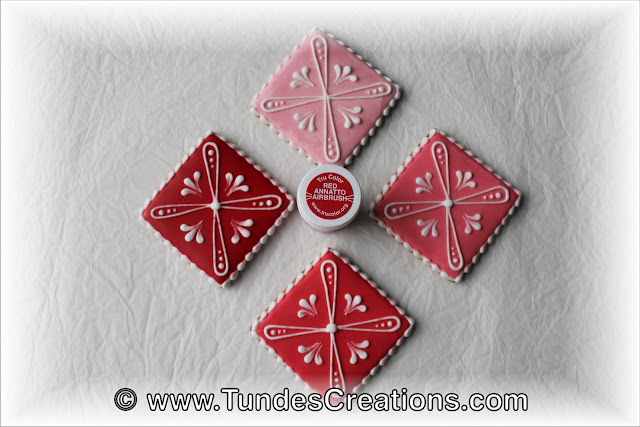 My favorites (besides this red) are the Airbrush shine colors, that you can paint on your cookie or on your icing and they have an amazing beautiful shine.